This 25 gram bag of Shimmer Gold Ghost Pearl paint powder is a great special effects pigment for adding to clear in paint or powder-coating applications. 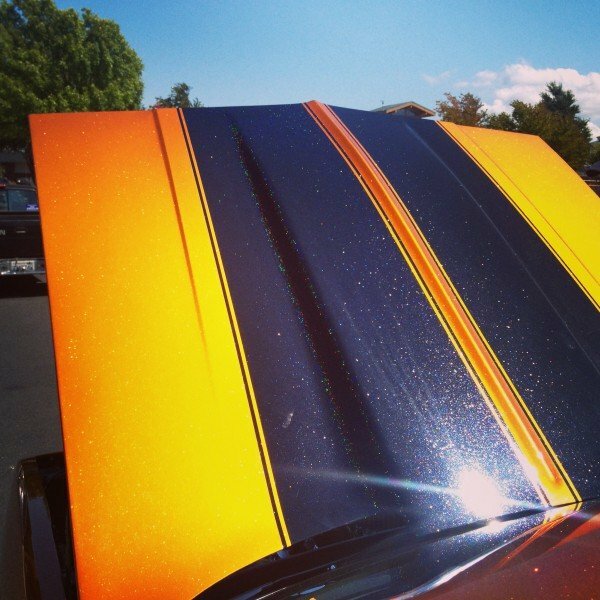 It is guaranteed to mix well with any clear paints or tinted kandy paints, and has a temperature threshold of about 1600 degrees fahrenheit. It is a very fine powder and will spray well through airbrushes, powder guns, and HVLP paint guns. It is very light, so it stays well mixed in paint without settling too fast in your gun, and can make great tinted clears for light to heavy effects (it’s your choice). 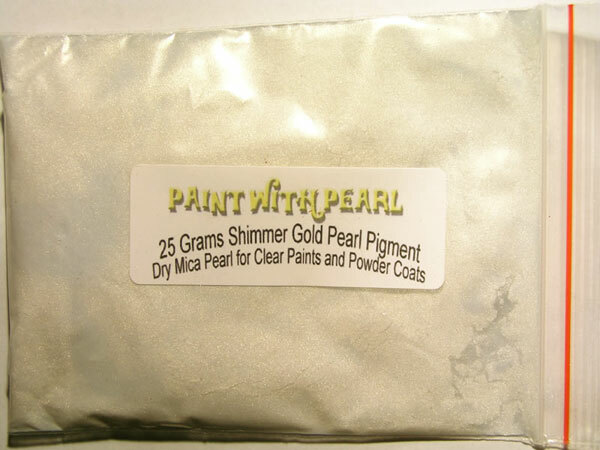 One 25 gram bag Shimmer Ghost Gold Pearl paint powder treats from 2 to 4 quarts of clear. 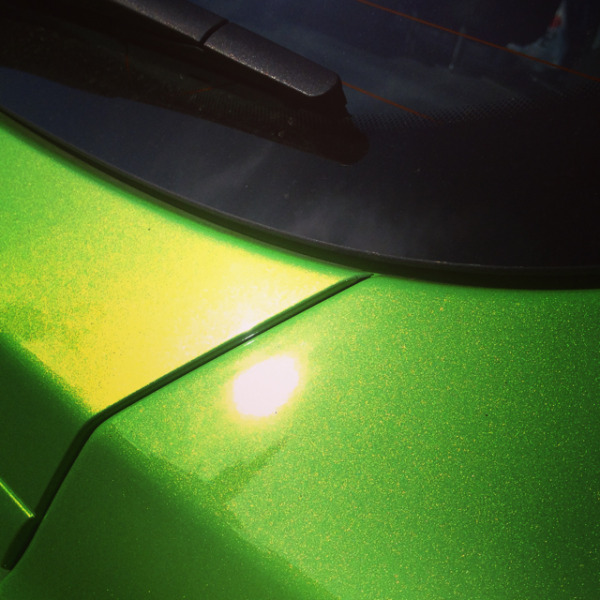 Shimmer Ghost Gold pearl paint powder has more sparkle than normal pearl, so it really stands out in the bright light! Red, Burgundy, or Orange base coat: We highly recommend any of our Shimmer Gold ghost pearl paint powders, including the shimmer gold or the satin gold. Also, Blue pearl, red pearl, and violet pearls can make for great effects over the darker shades of red. 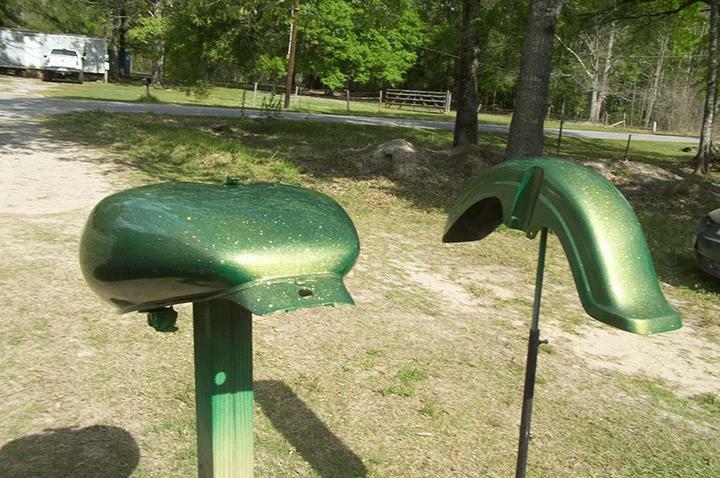 If you are still confused over which products would look good over your existing paint, or want to discuss your options, contact us! Or visit our FAQs page for more information.